The company won’t be making time for Android Wear 2.0. Android Wear has had a rough year. What started with a promising announcement of Android Wear 2.0 at Google I/O has ended with a delayed launch, an utter lack of new models and now, a disillusioned manufacturer. In an interview with the Verge, Shakil Barkat, Motorola’s head of global product development, said in no uncertain terms that the company has soured on smartwatches and doesn’t “see enough pull in the market” to release a new model anytime soon. It wasn’t too long ago when the Moto 360 was one of the hottest smartphones on the market. An early adopter of Google’s platform, it was Android’s foil to the Apple Watch: a sleek, affordable bracelet with an classic circular display and traditional charm. But with disappointing battery life and poor performance, the Moto 360 became lost in a sea of similar gadgets. 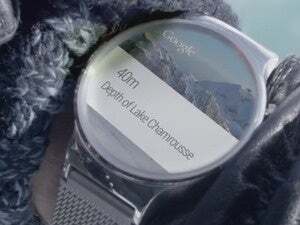 A second generation of the watch was released late last year and brought some much-needed improvements, and it was assumed the third generation would arrive at or around the time Google released Android Wear 2.0 to the public. Now that’s not happening. As Barkat told the Verge, “Wearables do not have broad enough appeal for us to continue to build on it year after year,” a harsh indictment for sure, but one that still keeps the door open for future products. That leaves LG and Huawei to carry the flag for Android Wear and puts a little more pressure on the platform to stay relevant in the face of stiff competition from Apple, Samsung and, reportedly, Fitbit. The impact on you at home: Just a year ago it seemed like smartwatches were the next big thing, a young platform with loads of potential. Now, who knows? With VR taking over, the smartwatch’s 15 minutes may be up, as people wrestle with their reasons for buying one and it struggles to find mainstream appeal. And unless Google releases the rumored Pixel Watch next year, Android Wear might be on its last legs, too. Android Wear 2.0 needs to land with a big splash and must-have hardware that makes it feel like a true next generation smartwatch, and not merely an incremental improvement.